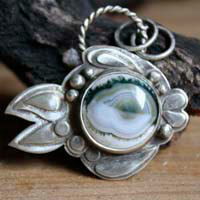 You can also find it as orbicular jasper or sea jasper. 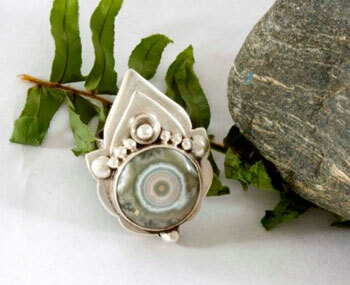 It is also called the Atlantis stone because people think it is linked to this mythic city. The ocean jasper was discovered on the north west coast of Madagascar, on the seashore where it can only be excavated when the tide is low and by boat. Actually, the expression ocean jasper should only be used for the stones coming from the first mine belonging to Paul Obenich that is located near to Marovato. 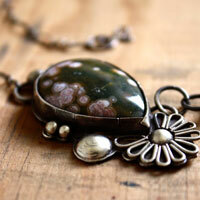 For the other stones of Madagascar, we normally use the expression sea jasper. But the name of ocean jasper was commonly used but there is no other source that equals the quality of the mine in Madagascar. It is a spherulitic variety of chalcedony with quartz that was dyed by iron oxides and other impurities, and some feldspaths. These impurities give spherical stains (orbicular) that can be seen on the surface. 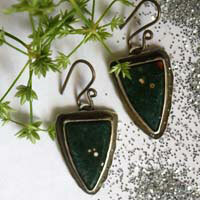 You can also find sometimes botryoidally formations and green or white druzy. 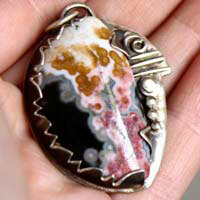 Generally, the bottom of the ocean jasper can be green, brown, cream, white, red, pink, or yellow. 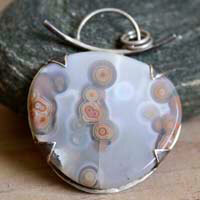 The orbicular inclusions show different color combinations. This stone was discovered recently and has no real history. This stone appeared at the beginning of 1900 amongst collectors but still ignoring the part of the island where it had been found. 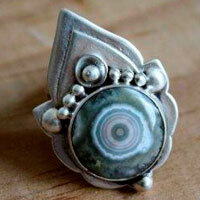 It was only during the Tucson mineral fair in 2000 in the USA that ocean jasper was rediscovered and identified. The mine society had to look quite hard for 45 days to find again the mine. It seems that it got lost for such a long time because it was only visible when the tide was low. This source ended in 2009 after some years of intensive excavation. 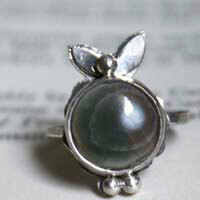 The stone became rare and the price of this stone should rise sooner or later. For the moment, there is no other source on the island. It would help strengthening memory. It could be used for digestive, hepatic, stomach, kidney, intestine, bleeding problems, muscle contractures and joint pains. 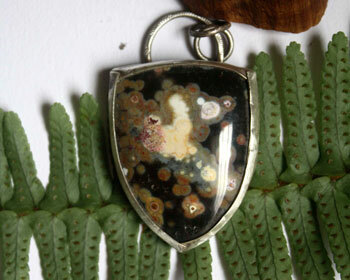 The ocean jasper would improve the blood and would help curing internal organs. 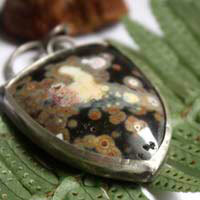 The ocean jasper would help eliminating body toxins and more particularly the ones provoking the body odors and flatulence. It would help with seasick and internal ear problems. It is the stone of vitality. 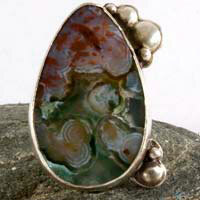 The ocean jasper also has the same general properties than the ones of the jasper.